Utada Hikaru is one of the top J-Pop singers in Japan, with the number one, all-time best selling album in Japan, First Love. Originally, she was going to have (her first ever) tour in the U.S. but it was postponed due to illness. Since she hadn't been performing live for many years, I sort of wondered if she's really do that tour. Finally, the tour was confirmed. Hitomi managed to get tickets for her Seattle show. They were sold out within 3 hours. I haven't really liked her English album Exodus as much. I think it was trying too hard to be "mainstream" or maybe I couldn't get a hang of her singing English. But I listened and liked This Is the One quite a bit more. Hitomi, as it turned out, didn't really listen to the album much at all. We played it in the car as we drove to dinner one night, and I suspect she didn't even know any of the lyrics to the songs. As I imagine most of the playlist was going to be her English music, I hope she prepared herself a bit. After cycling class, and a quick dinner, we hurried down to the Showbox, a theater with "only" a capacity of about 1000. There was a line around the block, and though the doors opened at 7PM, the line didn't appear to be moving much at all at 7:30 when we arrived. There was plenty of pan-handlers and homeless folk soliciting for cash, which is always unpleasant. Being a big white dude, I get hassled the most, it seems. It took about an hour to get in, and we were near the end of the line. Part of the hassle was that security was looking for and confiscating cameras, which are coincidentally in almost every cellphone made today. Women also carry plenty of stuff in purses, which makes any thorough search time consuming. Once in, it was a matter of finding a good spot to stand. I was pretty tired of standing by this point, and tired from earlier cycling Zone 5 ("lungs burning two minutes into the effort") for 20 minutes. I found a place to sort of sit and recover and Hitomi tried a spot near the back in the bar section. It was standing room only and the mob in the front didn't really appeal to me initially. But once the music started, I found myself up against some smelly person, and then people around me started chatting, which I hate. I migrated down to the floor with Hitomi. Hitomi couldn't see very well, unfortunately. It was a full band, something like 2 keyboardists, a bassist, a guitarist, a drummer, someone on percussion, and also an invisble guy in the back with ProTools. It was a lot of people on stage. Utada also brought on a keyboard at one point. I had a few concerns going into the concert. One was if the live sound mix would live up to the studio sound I've enjoyed. Secondly, was I wondered if her live singing voice was as good as I have heard. Could she really emote? And lastly if the audience would ever "warm up". The Japanese are notorious for being stoic listeners, and they were probably 75% of the audience. For many of the songs, I found the live sound to be superior, dynamically. Some of the flat-sounding songs from her Exodus album really popped, in such a way that I was wondering what went wrong in the studio. Perhaps they were helped with a new arrangement or something. And similarly, her singing voice was a bit more powerful and more dynamic than I had expected it to be. And though the audience in the back were out of it, the section in the front would cheer and holler and hold up signs. I won't review the setlist. Needless to say, she did work some Japanese songs into the mix. And there were some old favorites, from her first to her last albums. I was there happily singing along, next to poor Hitomi who didn't really have sight of the stage. There were three things that really bugged me about the performance: One was Hikki's hair, which was blown out and covering half her face. Then there was her makeup, and though I know nothing about makeup, it clearly didn't work for her face. (She also her video for Easy Breezy.) for And lastly, her dress was some sort of pink, baggy dress; something you'd wear to the prom. (And apparently, she's notorious in how she grooms herself, according to Hitomi.) Though her album covers show she has good taste in clothes and makeup, something goes wrong backstage. At the end of the night, she tossed out small, fake baseballs. I caught one. Hikki signed it on one side. On the other and drew the logo for "kumabucks honey", kuma meaning "bear", her favorite animal; and kumabucks being a reference to a certain famous coffee chain from Seattle. 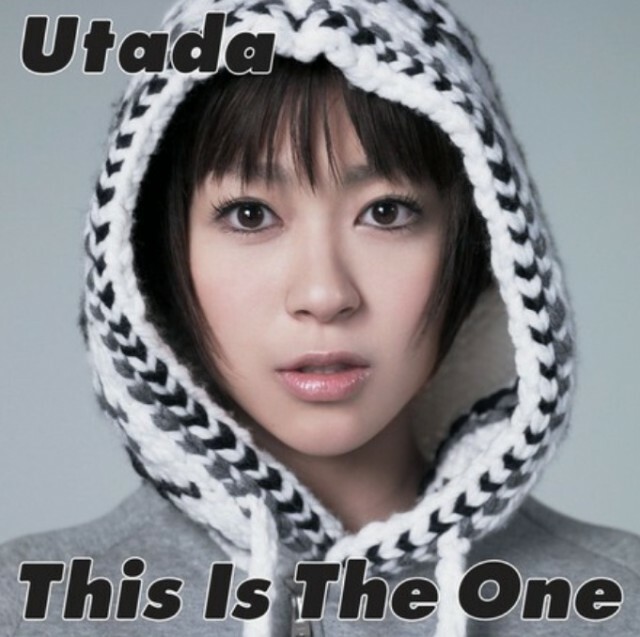 This entry was posted in Uncategorized and tagged in the flesh, live, tour, utada. Bookmark the permalink.